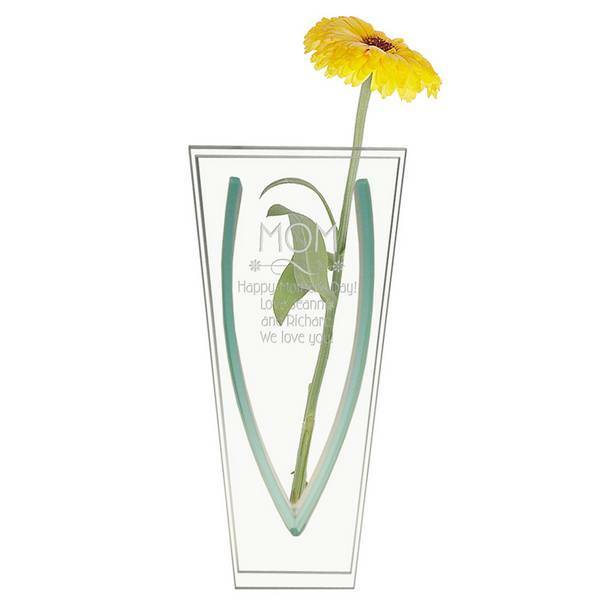 Of course all any mother wants on Mother’s Day is a big hug and a kiss, but this year why not give her a hug, a kiss, and a personalized flower vase! There are several options to choose from in terms of the personalized flower vases we offer, but our choice is the photo flower vase; you can upload your mother’s favorite photo of yourself or a nice picture of you and your mother together to be printed on the side of the vase! Along with this photo is space for you to add a personalized message to your mother! This is a very unique gift that really displays a lot of thought and affection. This personalized Mother’s Day gift is a great choice to give to your mother this year, as it will be kept around for many years to come, being filled with all your mother’s favorite flowers. Our next gift is a truly special gift to give your mother this Mother’s Day! These days everyone takes photos of just about everything, capturing memories and then very rarely ever looking at them again. This personalized keepsake box has a place for a photo of you and your mother to be printed on the lid, as well as space for a personalized message to be laser engraved. This beautiful wooden keepsake box is the perfect size to be kept out on display on your mother’s desk, dresser, or her vanity. This special gift will really let your mother know how much you care for her and appreciate all of her efforts and sacrifices. The warmth that you feel when you think of home emanates from your mother’s heart. So our next gift, in keeping with the warmth you feel when your mother gives you a big hug welcoming you home, displays its own warm glow. Give your mother this glass tea light holder and show her the same kindness she shows you. This is one of our top 5 most unforgettable gifts for your mother this year because it is something she can leave out on display every single day, ensuring she will never forget! 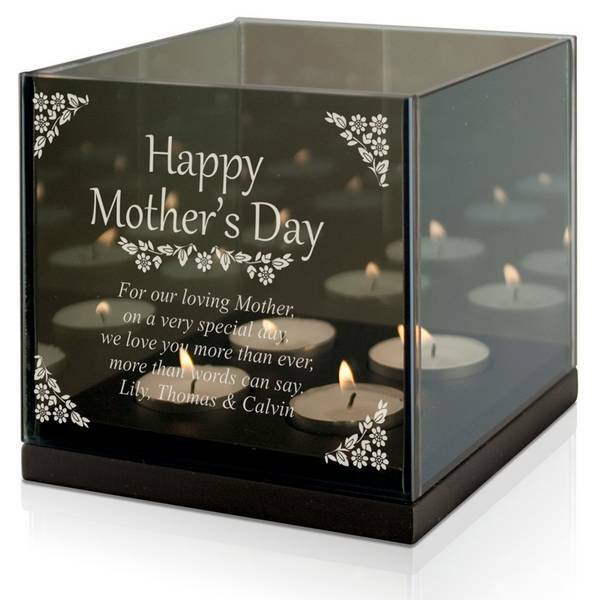 This glass tea light candle-holder can be personalized with a lovely message to your mom on the front. She will be positively glowing upon receipt. 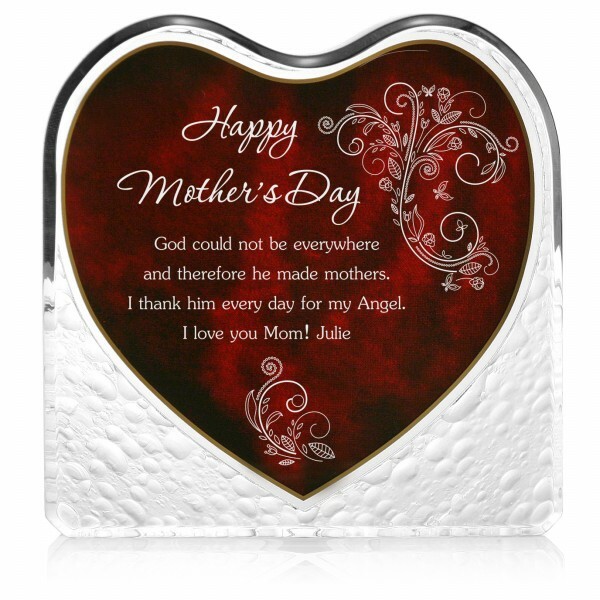 Our next gift that comes in on our top 5 most unforgettable gift list is this fabulous heart shaped plaque you can give your mom for being the wonderful mom she is! Personalize this plaque specifically for your award-winning mother by adding a personalized message to your mother that will let her know just how much you really care about her. Being a mom is hard work, although very rewarding; show your mom a little recognition this Mother’s Day with a plaque she can be proud to show off! Not every mother gets an award for being the best mom, but you can show her and anyone else who has the opportunity to view this exquisite award, just how important she is! Our last gift on our top 5 most unforgettable gift list is definitely more progressive than our other gifts. These days, it seems that everyone has an iPhone; although not everyone has a personalized iPhone protective case! Perhaps it is not the most traditional of gifts to give your mother this Mother’s Day, but it will certainly be one of the all time best gifts she will ever receive. Simply upload your special photo and make your mother’s iPhone 4 or 4S case a remarkable reminder of your love. 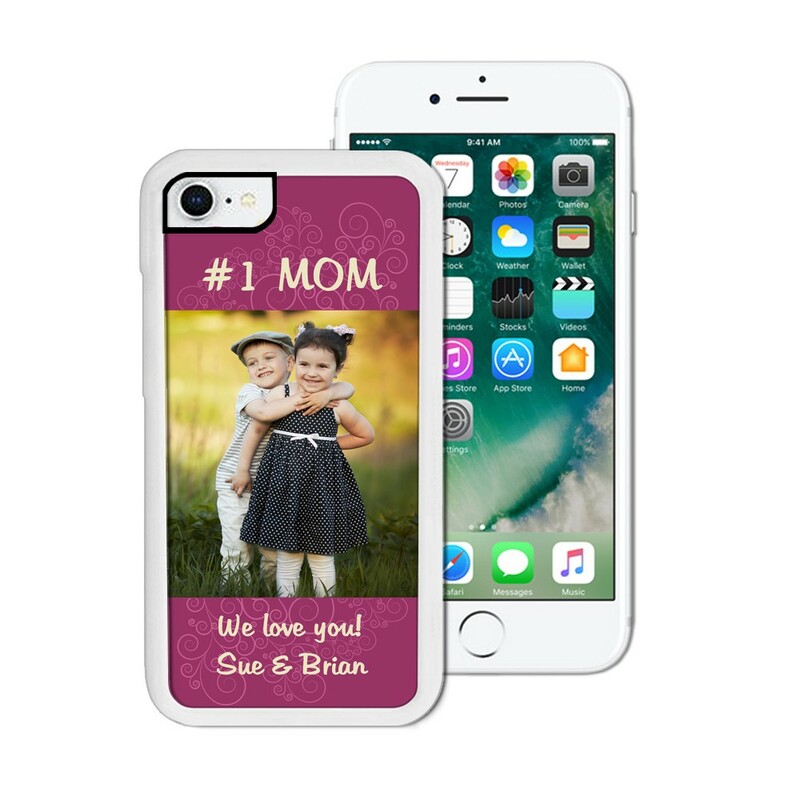 The “I LOVE MOMMY” personalized photo iPhone case for the 4 or iPhone 4S is a wonderful way to keep your mom ahead of the technological times, and a great way to always have a photo of you on hand! This Mother’s Day, do not make the mistake of giving your mother just another generic gift, show her how much she means to you and how special her love for you really is. Your mother will not be able to forget any one of these personalized gifts! Our top 5 most unforgettable gifts are all great gifts to give to your mom this Mother’s Day, and will be sure to please; make sure your personalized gift comes from the heart, and check out all the gifts that Memorable Gifts has to offer!